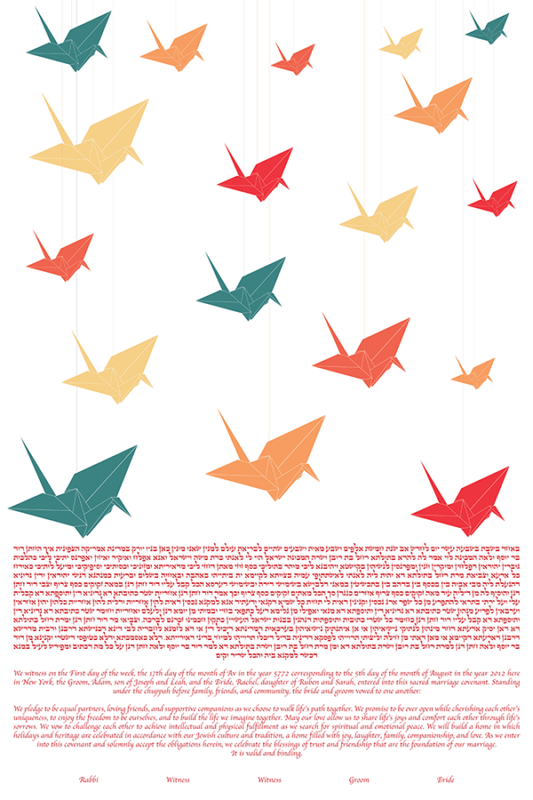 The Paper Cranes II Ketubah is the perfect mix of eastern art with the modern Jewish sensibility. The paper art is one of the most elegant traditions of east Asia, while the bird is a symbol of life and love and rebirth, since Noah unleashed his dove upon the world — and this Ketubah unites the two together. This Ketubah is perfect for the couple that is not only modern but balances that with being elegant and classic, the balance a love of the west with a love of the east. It is for the couple that lives on that fine line, mixing the traditional and the exotic.